Apple hopes to be a new destination for cord cutters, but Netflix remains a no-show. 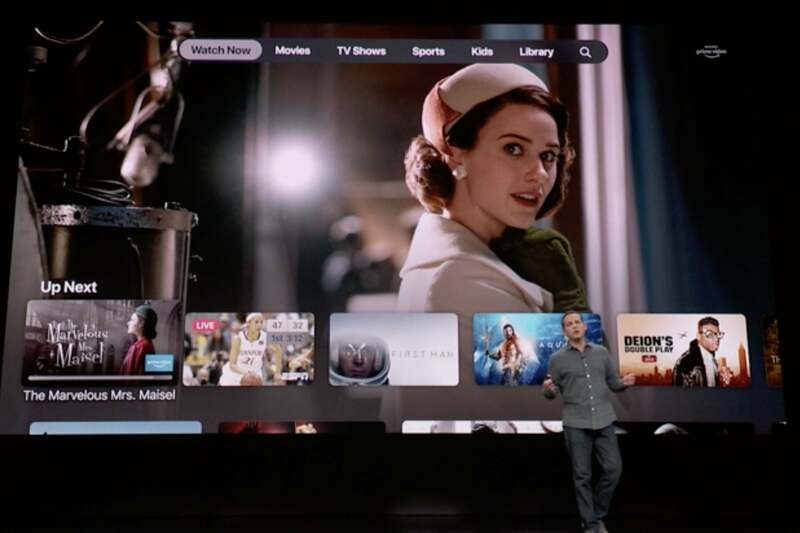 After months of speculation, rumors, and leaks, Apple has finally taken the wraps off its plans for the future of TV, and it comes in two parts: There’s a new subscription service coming this fall called Apple TV+, and an overhaul of the Apple TV app, coming this spring. Here’s what you need to know about the new TV app, and the way Apple hopes it will change streaming and become the new destination for cord cutters. Though the TV app has a newly refreshed design, you’ll recognize many features from the current app. The Up Next section—which shows a list of next episodes for shows you’ve watched, as well as TV shows or movies you stopped in the middle off—is still there. So are the sections for TV Shows, Movies, Sports, Kids, and your Library of shows or movies you own. The new TV app has most of the same features of the existing app, with a refreshed look. Apple’s TV app will show content from a few traditional TV providers through their streaming apps, like Spectrum, Optimum, and DirecTV. It also works with streaming providers like Hulu, fuboTV, and PlayStation Vue. None of this is new—the TV app does that today. And unlike Apple TV Channels, you won’t be able to subscribe to these services from within the app. Instead you’ll have to install the appropriate apps, which you’ll use to watch the content. You’ll just see their content integrated into your recommendations and Up Next list. The new Apple TV app works with these services, just as the current TV app does. But you can’t subscribve to them from within the app. The biggest change to the TV app is the addition of Apple TV Channels, where you can subscribe to a host of premium TV offerings right from the TV app. 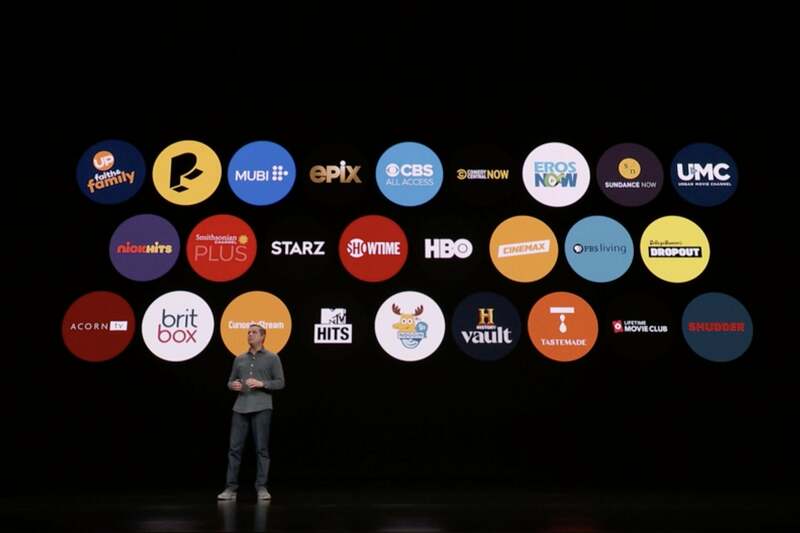 Apple showed a list of 26 partners, including Starz, Epix, CBS All Access, Comedy Central, Showtime, HBO, and Cinemax. 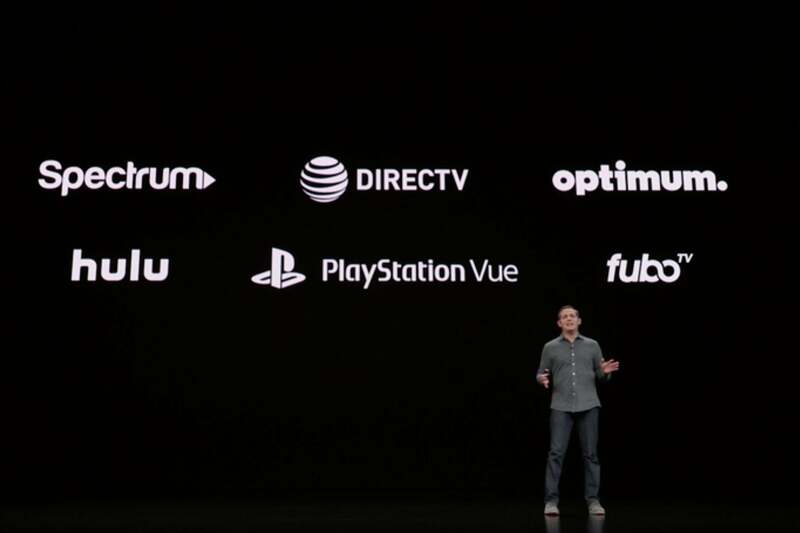 You’ll subscribe (or start a free trial) to any of these Channels from right within the TV App, using your existing Apple ID, with just a few taps. Apple’s got a lot of Channels on tap, but there are lots of notable exceptions. Then you’ll be able to enter each channel to see the content it offers, all available on demand, playing directly within the app. There are no additional apps to install, and Apple promises the highest quality picture and sound available, full Siri integration, and quality of life features like a “skip intro” button. Apple also says that Channels content will be downloadable to watch offline. The new and improved Apple TV app still does not integrate with Netflix. So, if you want to watch Netflix on your iPhone, iPad, or Apple TV, you’ll have to launch the Netflix app. And Netflix shows won’t show up in your Up Next queue. 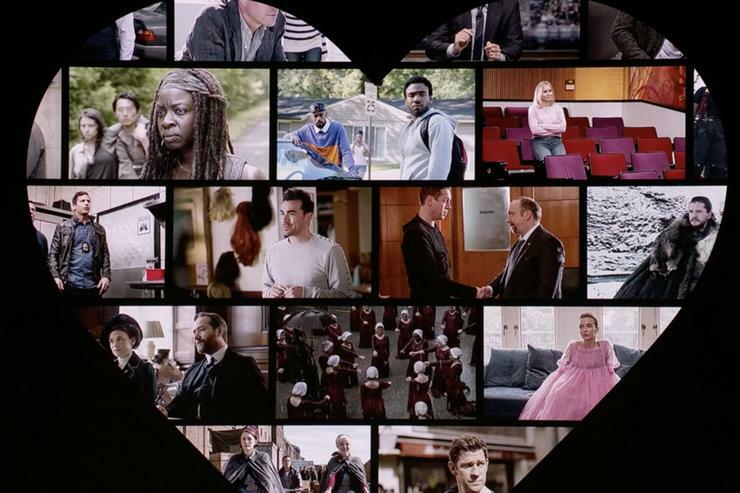 Hulu and Amazon Prime Video, the other two big streaming services in the U.S., sort of half-support the Apple TV app. If you have those installed, they will integrate their content into recommendations in the Watch Now tab, and you’ll see their programs in the Up Next list. But you won’t be able to subscribe to or watch that content directly within the TV app, as you would with Apple TV Channels. Instead, you’ll jump out to the associated app to do so. In other words, the new TV app treats Netflix, Hulu, and Amazon Prime Video exactly as it does today. The redesigned app, with access to Apple TV Channels, will land on iPhones, iPads, and Apple TV in May. But there is big news for people who like to watch on their Mac: Apple is going to bring the TV app to macOS for the first time. That won’t happen until the fall, presumably as part of macOS 10.15. Want to watch on the big screen but don’t have, and don’t want, an Apple TV? Apple is also bringing the TV app to smart TVs. Its partners include Samsung, Sony, Vizio, and LG (all the brands that announced AirPlay 2 and HomeKit support earlier this year). Apple says it will start rolling out to Samsung TVs in the spring, with other brands to follow. Already have a Roku or Fire TV box? In a bit of a shocking turn of events, Apple announced that the TV app is coming to both of those devices, too. Apple hasn’t given a time frame for its release on these platforms. 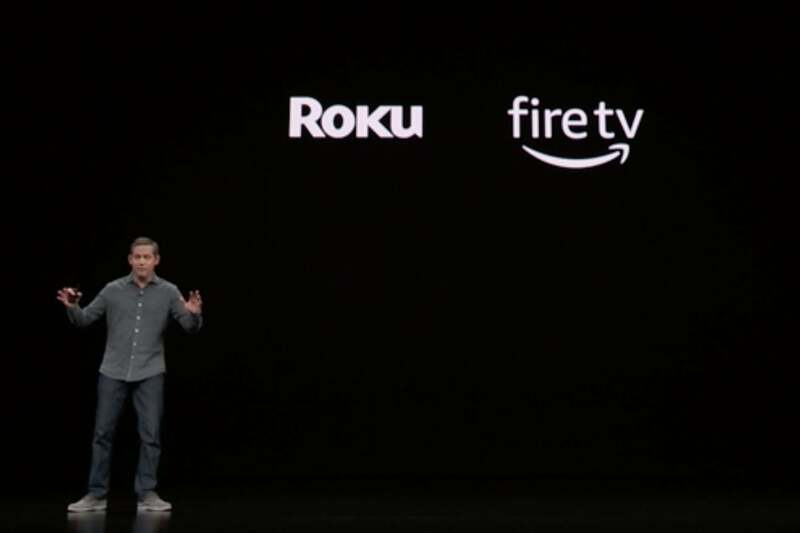 The TV app on Roku and Fire TV? Did hell just freeze over? All the Channels you subscribe to will have Family Sharing enabled at no extra cost, so you can share your subscriptions with your family without sharing your password. Just as with Apple Music, your family members will have their own recommendations, Up Next queue, and so on. Note that free Family Sharing is only for Apple TV Channels, not for external services that integrate with the Apple TV app but you subscribe to outside of it (like Hulu or Amazon Prime video). The current TV app is available in 10 countries. The new one will be in over 100. The TV app is currently available in only 10 countries. The new app will be available in over 100 countries. 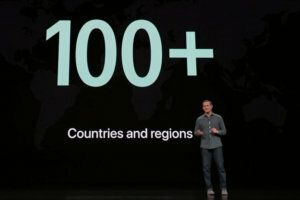 However, that doesn’t mean that every service which integrates with it, and every Apple TV Channels partner, will be available in all 100+ countries. Some regional restrictions will apply.